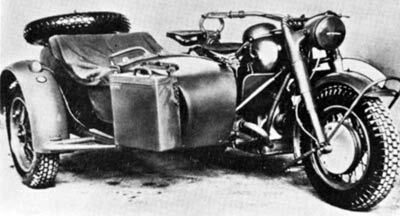 ABOVE: A BMW R75 combinaison. 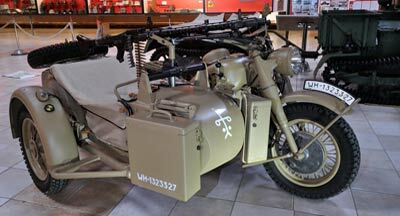 This outfit was a 3x2 arrangement with drive to the side car wheel transmitted via half shaft from to motocycle .Armament was usually an MG 34 light machine-gun or the side car could carry a small mortar. 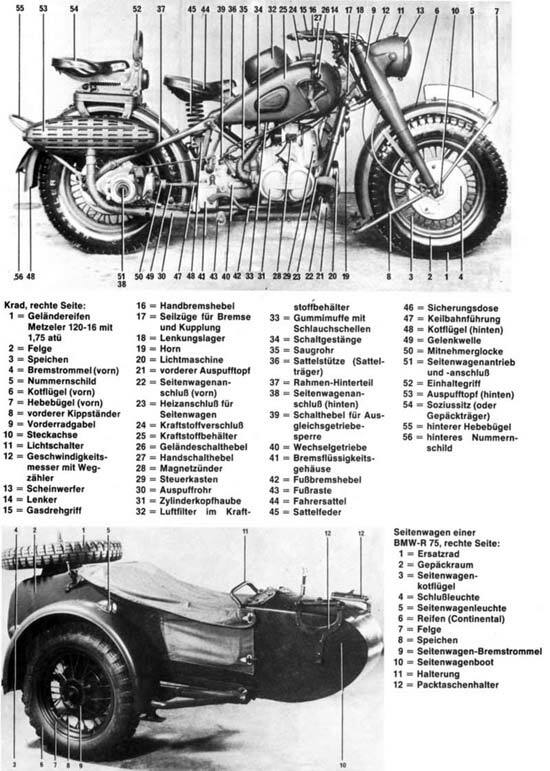 ABOVE : A BMW R75 combination leading solo machines with the markings of the 7th SS Freiwilligen Gebirgs Division (mountain division) ‘Prinz Eugen” on its sidecar. 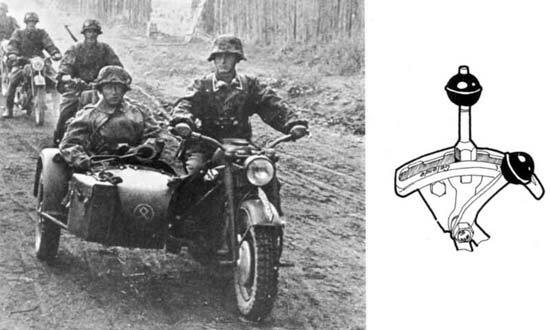 The sidecar passenger carries a traffic control disc in his right hand which suggests that this column is the advance or reconnaissance elements of the main division. 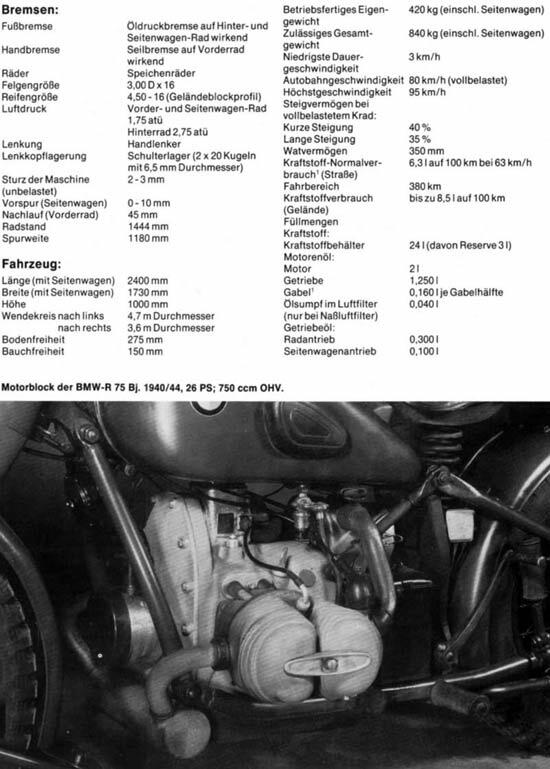 BELOW: BMW R75 solo.This photo gives a good detailed view of teh machines right side which is usually hidden by the sidecar. 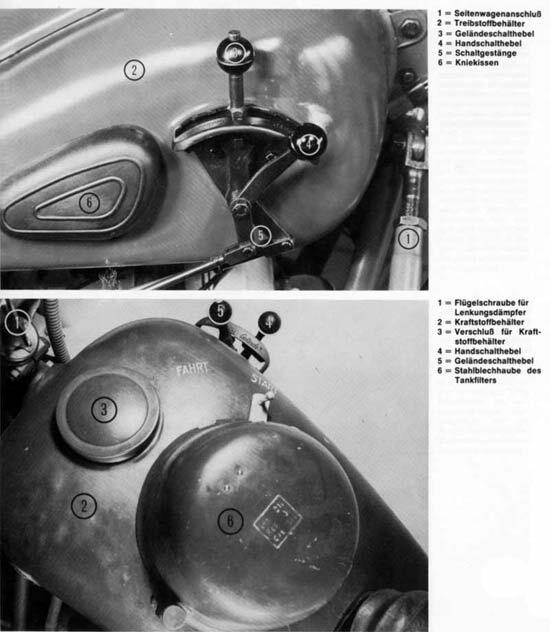 Clearly shown is the shaft drive linkage into the rear drive unit which drove the sidecar wheel via a half-shaft. 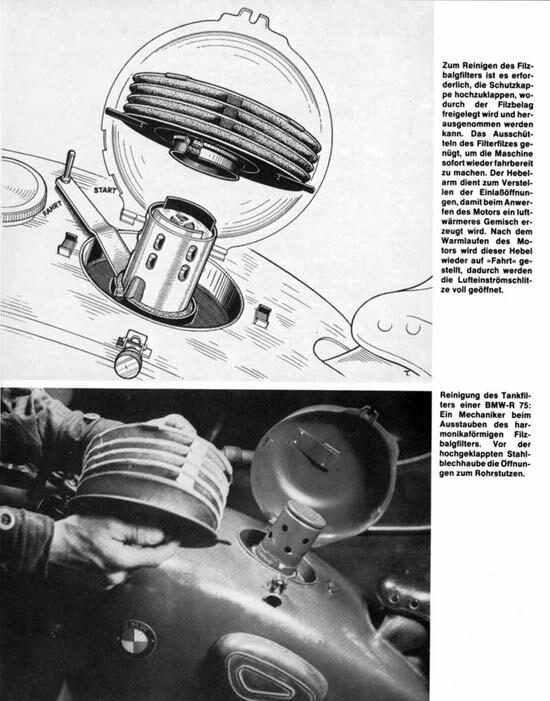 The hand gear-change and hi-low ratio levers are clearly shown .